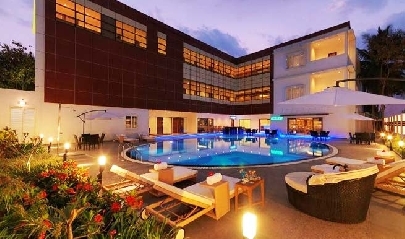 Located at a distance of just 7 km from the New International Airport, Bengaluru, Goldfinch Retreat is one of the best four star hotels in Bengaluru, which spreads in 36 acres of lush well-maintained gardens. Ideal for both business and leisure visitors, this luxury property offers world-class facilities and amenities and all modern comforts. 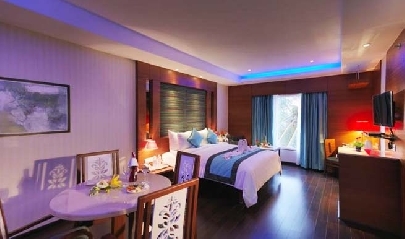 The guest rooms have been segregated into three categories wherein all the rooms and suites are very well-equipped and have a tasteful décor. 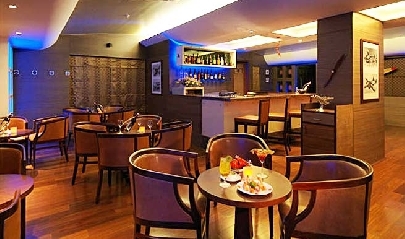 The hotel has a multi-cuisine restaurant and a well-stocked bar serving lip-smacking dishes and choicest of beverages. The list of hotel facilities includes Fitness Centre, Business Centre, 24 hours Travel Desk, Doctor on Call, a party hall, a conference hall, Valet Parking and more. These guest rooms are spacious and offer a choice between twin beds and a king-size bed. 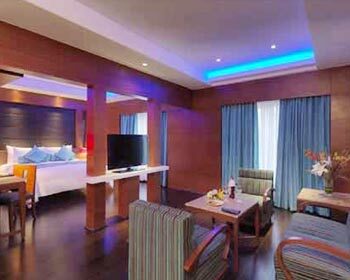 Extremely well-equipped, the rooms have a superb décor and offer all the modern facilities. The colors of the wood and the light color palette sets the mood right. Enjoy facilities like well-fitted attached bathroom, side/work table, chair, LCD TV with satellite/cable connection, mineral water bottle, central air-conditioner, direct dial telephone, internet, tea/coffee maker, round the clock room service, in-room safe, weighing scale, laundry and more. Filled with luxuries and boasting of an elegant décor, Gold Club rooms are the larger ones, which offer all the modern comforts to the guests. 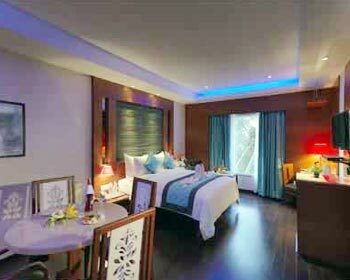 Have a memorable stay amidst all facilities and amenities such as central A/C, LCD TV with cable connection, direct dial telephone, Wi-Fi connection, in-room safe, tea/coffee maker, mini bar, laundry service, weighing scale and other premium toiletries in the attached bathroom, 24 hours in -room dining service etc. 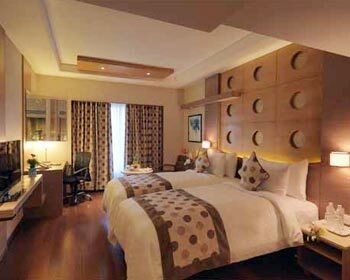 Executive suites are huge and comprise of a separate living, a dining room, en-suite bedroom and attached washrooms. The décor is wonderful and the color palette is soothing. 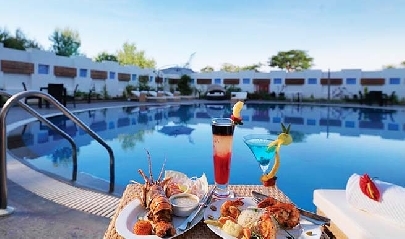 The Suites have one king-size bed, complimentary bottled water a balcony offering garden/ pool view, complimentary pick up and drop, fruit platter etc. The list of facilities include central air-conditioning with temperature control, LCD with cable connection, direct dial telephones, Wi-Fi internet accessibility, in-room electronic safety deposit, coffee/tea maker, mini- bar, well-fitted attached bathrooms with plus toiletries including weighing scales and bath tubs 24 hours in room dining and laundry service. The on-site multi-cuisine restaurant, Banjara serves a vast variety of Indian delicacies along with popular global cuisines. The chefs and their team try to maintain the original flavors. The menu also includes an array of selected wines. Enjoy the warm hospitality and admire the superb environment. An aviation-styled pub, Aviator, is a well-stocked bar with an assortment of wines, liquors, spirits and more. The bar-tender might whip out a new cocktail, just for you. The interiors of the bar are stunning and the feel is escalating. Delightful snacks and superb music make your evenings even more memorable. Pick your favorite alcoholic and non-alcoholic drink.